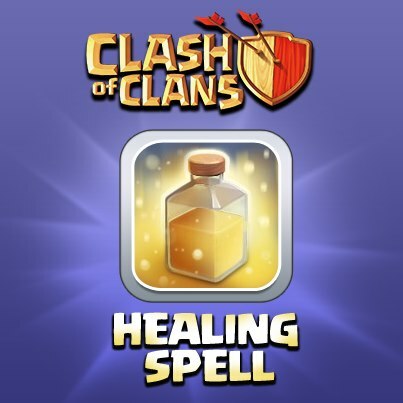 The Healing Spell is one of many Spells in the Clash of Clans game. Heal your Troops to keep them in the fight! Cast this spell to create a Ring of Healing. Your units will be healed while they are inside this ring. When placed, the spell forms a stationary ring of healing on the ground. All friendly Units within the ring will be healed (ground or air, regular or dark troops), which includes Healers. It lasts for a total of 12 seconds (40 healing ‘pulses’ every 0.3 seconds). Heroes can also be healed by the Healing Spell, although the rate of healing is reduced to half of that of normal troops. Description of common tactics of usage a Healing Spell during the battle is Here. You can heal a Healer with a Healing Spell. Also, unlike the Healer, Air Troops can be healed. Any unit that moves out of the Healing Spell’s radius will immediately stop being healed. As part of the 17 Apr 2013 update, the creation time was reduced from 1.5 hours to 30 minutes. Then, in the 1 July 2015 update, it was further reduced to 20 minutes. You can stack Healing Spells on top of each other to increase the effect. Although the Healing Spell can be upgraded to level 2 in the level 2 Laboratory, only Troops and Spells that are already unlocked will appear in the Laboratory upgrade interface. The Healing Spell will not appear in the Laboratory until the Spell Factory has been upgraded to level 2 (which requires Town Hall level 6). Most players already have a level 4 Laboratory by that time; if so, the first two upgrades will be available as soon as the Spell Factory level 2 upgrade finishes. When the Healing Spell is deployed, it makes a “cling” sound. When the Spell Factory was first introduced to the game as part of the 18 Sep 2012 update, all Spells required Gold to create. 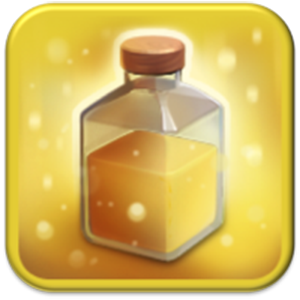 The 6 Nov 2013 update changed the required resource for all Spells, including the Healing Spell, to Elixir. Supercell employees will never ask you for your Game Center password.